A decade ago, the most utilized food assistance program in Franklin Township was the Department of Natural Resources. If a family was struggling to get food on the table, calling the DNR and asking if any roadkill was available for pickup offered a convenient, if not messy, solution. 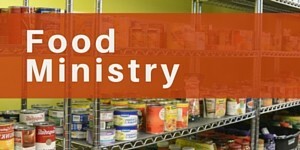 Since then food assistance programs in the area have significantly evolved. In particular, the Indian Creek Christian Church (The Creek) Neighborhood Network has a program that has been a trailblazer in the field of charitable food distribution in Indiana. It is a sure improvement to roadkill. What distinguishes The Creek’s Neighborhood Network from traditional food pantry models is the purposefulness of the program’s collaboration between the program’s administration/volunteers and those they serve. Each person that is a member of the Network gives monthly membership dues of $3 (which are leveraged into development, relationships and about $80 of groceries) and, every two weeks, commit to participating in the food distribution process. This participation has some members weighing and sorting, filling member’s boxes with food, leading the meeting after, collecting membership fees, running childcare, and spearheading initial setup and final cleanup (among other tasks). After working together the Network’s members are required to have a meeting to discuss a topic of their choice. It could be a bible study, a tutorial on changing their oil, general nutrition, sharing a recipe, or hammering out the community’s guidelines for membership (for example, how late can you arrive to staff the distribution process before you give up your right to a food box?). This meeting is an intentional time of coming together to bond as a community, to share resources, and to learn. This entire system is based on charitable concepts sketched out in Bo b Lupton’s book “Toxic Charity”. In his “Principles for Helpers” (available at www.fcsministries.org) he advocates that within philanthropy, “exchange is better than giving” and “never do for others what they can do for themselves”. He writes that handouts erode human dignity by implying that the recipient has nothing of value to share with the giver. In turn, the receiver feels like a charity case rather than an economic participant (a mindset no one wants). Instead, Lupton advises charity administrators to create systems wherein the poor are able to participate in and take ownership over the programs intended to serve them. In this way not only are an individual’s needs met, but their self-worth is enhanced and they are empowered. Which is the true goal of charity – to enrich and empower the needy. The Creek decided ten years ago to invest in enhancing their local community. Shifting their mindset to consider themselves like a church parish; a part of and responsible to their local community. So, instead of hosting a Christian preschool (or other more traditional programming), The Creek offers neighborhood classes in financial literacy, as well as care programs focused on chronic pain and illness, drug recovery, financial assistance and post-divorce care. Yet while these offerings addressed important needs in the community, Franklin Township’s most pressing concern remained food security. In response to this reality, Marcie Luhigo (The Creek’s Director of Global Outreach and Local Compassion) began researching the best community development responses to food insecurity. It was over the course of her investigations that she became acquainted with Lupton’s concepts in “Toxic Charity” as well as The Atlanta Community Food Bank (an organization Lupton cites as a living example of his principles). She was inspired by his philosophies and intrigued by the Atlanta Food Bank model. Upon further research she began to outline a solution that would be both sustainable and empowering. Over the next few years Ms. Luhigo began the lengthy process of creating a new program and establishing strategic partnerships. Among the food banks she sought to collaborate with there were legal complexities behind taking charitably donated food and distributing it to individuals who are members giving a financial buy-in and participating in labor. Furthermore, while The Creek’s Network staff weren’t going to force people to pray together and study the Bible in their meetings post-distribution, they would encourage it. But, when Ms. Luhigo reached out to the Midwest Food Bank (MWFB), John Whitaker and his staff were excited to partner with her. While the legal considerations still needed figuring, and indeed took 18 months of in depth conversation between The Creek and MWFB’s board/corporate partners to unravel, in January of 2015 MWFB and The Creek Neighborhood Network became official partners. From there, The Creek bought a refrigerated box truck and now makes trips to MWFB every two weeks to pick up their food. The Creek’s Neighborhood Food Network now facilitates a food distribution meeting every two weeks out of IPS 15 (Thomas Gregg Elementary) partnering with 30-45 families in need and 20 families at their church. This is providing food security to about 280 people per month in Franklin Township and in another food insecure area, the Near East Side of Indianapolis. While the program is still young (having only been in operation for a year and a half) The Creek is already seeing positive outcomes from their model. There are stories of people in the Network giving up their SNAP benefits to take on additional part time jobs, as well as stories of formerly unemployed individuals giving up their membership to make room for others to join the Network. It seems that when an individual feels empowered during a season of need that leads to them feeling empowered to address their future. If The Creek’s Neighborhood Food Network continues to thrive, it will be a bellwether of new expectations for philanthropic programming: to not only distribute aid but also empower members.